Pure Herbs beginning with "E"
Under each product will be a product sheet download that covers usage,history and dosing. If there is no download when you order please put a note asking for the product sheet. Eyes, congestion in eyes, conjunctivitis, visual impairment. (Wood Betony, Eyebright, Bayberry). More energy, stronger heart, easier breathing, improved memory, mental clarity and quality of life. Circulatory cleanser, antidote for poisons, repairing, abscesses, boils and skin conditions. Chickweed, Peach Leaf, Dandelion Leaf and Root, Purple Loosestrife, Eyebright, Wheat Germ, Ginger, Wood Betony). Licorice Root, Peppermint Leaf, Capsicum, Gentian, Blessed Thistle, Eyebright). 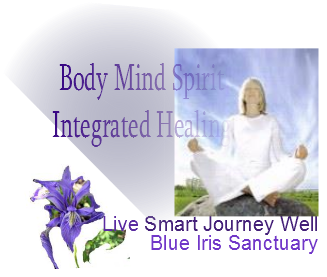 Longevity, colds, flu swellings, respiratory problems, energy, anemia, and sexual energy. heaviness of pelvic organs, bronchial complaints, tonic, expectorant, emmenagogue (encourage menstrual flow), diuretic, sweating, dissolves obstructions, skin disorders. Turkey Rhubarb, Partridge Berry, Burdock, Marshmallow). Eye problems, mental depression, oxygenation, radiation poisoning, prevent deafness in unborn if mother exposed to measles. Myrrh, Blessed Thistle, Juniper Berries, Yerba Santa). Ear and Throat infections, tonsillitis, strep throat, ear infection, swollen glands. (Echinacea, Myrrh, Licorice Root, White Oak Bark). energy, membrane cleanser, respiratory decongestant, diaphoretic,(sweating herb), prolapsed (fallen) uterus. Fevers, Cuts Mucus, Breathe easier, Boils and Swelling.